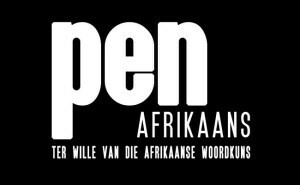 In South Africa, PEN Afrikaans has joined international organisations in protesting against proposed changes to South African copyright law outlined in the Copyright Amendment Bill. According to a statement from the South African branch of PEN International, the proposed changes to South Africa’s Copyright Act will have ‘a direct and detrimental impact on all South African authors’, and are ‘not in line with the international copyright treaties that South Africa has acceded to’. The group is directly opposing the introduction of ‘fair use’ provisions rather than ‘fair dealing’, which is already established in South African copyright law. According to PEN Afrikaans’ statement, ‘fair use does not work with a closed list of permitted uses, and instead is open-ended, requiring courts to decide if usage is classified as fair’. In early November, the International Publishers Association (IPA) noted that the introduction of a fair use clause ‘will allow reproduction and making available of entire works without the consent of or remuneration to the rights holder’, adding that the clause ‘also contains other features not meeting international best practice’. According to PEN Afrikaans, ‘The existing fair dealing provisions should rather have been expanded as required,’ as authors typically cannot afford to ‘institute court proceedings to challenge unauthorised use of their work’. However, South African academic Denise Rosemary Nicholson argues that under fair use, a creator’s rights are protected by a legal framework ‘that allows copyright users to assess whether their reproduction, reuse or remixing of copyright works is lawful or not’. Nicholson adds that the proposed switch from fair dealing to fair use has been welcomed by organisations including tertiary institutions, libraries and archives, who claim that the less restrictive fair use provisions will ‘facilitate better access to information and resource-sharing, along with other benefits like allowing accessible formats for persons with disabilities’. ‘Entrenching fair use in South African copyright law is a way to ensure the country steps firmly into the present and, ultimately, is able to move into the future,’ says Nicholson. PEN Afrikaans and the IPA are also opposing the introduction of wide-ranging exceptions for educational institutions. The International Authors Forum (IAF) also condemned these proposed changes, citing financial losses in the Canadian publishing sector following the institution of these exceptions: five years on from amendments to Canada’s Copyright Act, author royalties were down 46% year-on-year. ‘Many authors earn their livelihood from writing for the education market. The education market is by far the largest sector within the book publishing industry. Allowing copying of books and inclusion of copyright material in course packs instead of encouraging educational institutions to purchase copies of books, or licences to reproduce copyright works, erodes authors’ rights and drastically curtails their ability to make a living,’ wrote PEN Afrikaans. The latest draft of the Bill was approved by South Africa’s parliamentary committee in November, and is due to be debated further at the National Assembly.